A NEW quest to find six golden bobbins hidden across Cumbria launches tomorrow and will run for the duration of the summer holidays. The bobbins have been inspired by a recently opened exhibition at Stott Park Bobbin Mill, near Ulverston, which brings to life the important story of the spinning and weaving industries in this area during the 19th century. 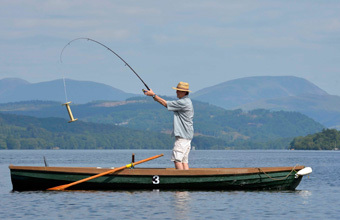 Visitors to sites across Cumbria are encouraged to seek out the bobbins during the six week holidays and enter a prize draw competition at http://www.golakes.co.uk/FindtheBobbin to be in with a chance of winning prizes, including a four night break at Graythwaite Cottages on the western shores of Windermere.